This article is about the circus performer. For the musician, see Emmett Kelly (musician). Emmett Leo Kelly (December 9, 1898 –March 28, 1979) was an American circus performer, who created the memorable clown figure "Weary Willie", based on the hobos of the Depression era. A clown is a comic performer who employs slapstick or similar types of physical comedy, often in a mime style. A hobo is a migrant worker or homeless vagrant, especially one who is impoverished. The term originated in the Western—probably Northwestern—United States around 1890. 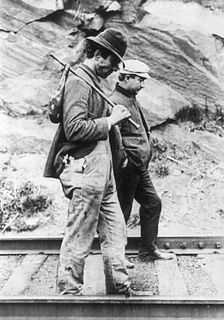 Unlike a "tramp", who works only when forced to, and a "bum", who does not work at all, a "hobo" is a traveling worker. Kelly was born in Kansas, the son of Irish parents both involved in the railroad business. As a child, he developed a love for the circus and cartooning. In the early 1920s, he began his career as a trapeze artist. By 1923, Emmett Kelly was working his trapeze act with John Robinson's circus when he met and married Eva Mae Moore (6 June 1903–10 March 1991), another circus trapeze artist. They later performed together as the "Aerial Kellys" with Emmett still performing occasionally as a whiteface clown. A trapeze is a short horizontal bar hung by ropes or metal straps from a support. It can also be known as a aerial hoop, or fabric known as an aerial silk. It is an aerial apparatus commonly found in circus performances. Trapeze acts may be static, spinning, swinging or flying, and may be performed solo, double, triple or as a group act. 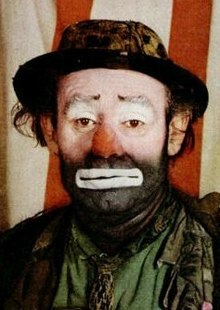 Kelly had initially developed his character "Weary Willie" around 1920 from sketches he'd made, but circus officials rejected the idea of a "hobo" clown as inappropriate. For his first decade in the circus, he alternated between trapeze artist and a conventional whiteface clown. 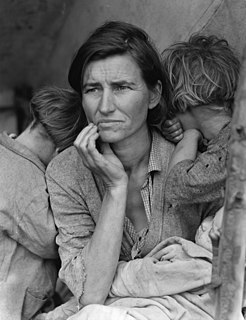 With the onset of the Depression, hobos and tramps had become a regular sight to Americans and Kelly was at last able to gain approval for "Weary Willie". Tragedy is a form of drama based on human suffering that invokes an accompanying catharsis or pleasure in audiences. While many cultures have developed forms that provoke this paradoxical response, the term tragedy often refers to a specific tradition of drama that has played a unique and important role historically in the self-definition of Western civilisation. That tradition has been multiple and discontinuous, yet the term has often been used to invoke a powerful effect of cultural identity and historical continuity—"the Greeks and the Elizabethans, in one cultural form; Hellenes and Christians, in a common activity," as Raymond Williams puts it. The peanut, also known as the groundnut, goober, or monkey nut (UK), and taxonomically classified as Arachis hypogaea, is a legume crop grown mainly for its edible seeds. It is widely grown in the tropics and subtropics, being important to both small and large commercial producers. 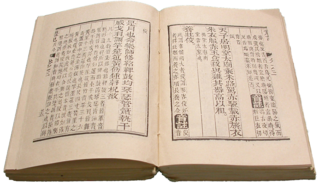 It is classified as both a grain legume and, due to its high oil content, an oil crop. World annual production of shelled peanuts was 44 million tonnes in 2016, led by China with 38% of the world total. Atypically among legume crop plants, peanut pods develop underground (geocarpy) rather than aboveground. With this characteristic in mind, the botanist Linnaeus named the species hypogaea, which means "under the earth." Starting in 1942, Kelly performed with the Ringling Brothers and Barnum & Bailey Circus, where he was a major attraction. He also landed a number of Broadway and film roles, including appearing as himself in his "Willie" persona in Cecil B. DeMille's The Greatest Show on Earth (1952). He also appeared in the Bertram Mills Circus. Cecil Blount DeMille was an American filmmaker. Between 1914 and 1958, he made a total of 70 features, both silent and sound films. 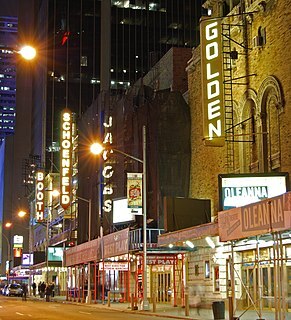 He is acknowledged as a founding father of the cinema of the United States and the most commercially successful producer-director in film history. His films were distinguished by their epic scale and by his cinematic showmanship. He made silent films of every genre: social dramas, comedies, Westerns, farces, morality plays, and historical pageants. The Greatest Show on Earth is a 1952 American drama film produced and directed by Cecil B. DeMille, shot in Technicolor, and released by Paramount Pictures. Set in the Ringling Bros. and Barnum & Bailey Circus, the film stars Betty Hutton and Cornel Wilde as trapeze artists competing for the center ring, and Charlton Heston as the circus manager running the show. James Stewart also stars in a supporting role as a mysterious clown who never removes his make-up, even between shows, while Dorothy Lamour and Gloria Grahame also play supporting roles. Kelly spent his final season before retiring from the circus (1956) working as the mascot for the Brooklyn Dodgers. For the last two decades of his life, he continued to make appearances on game shows and in TV commercials. Friedrich Wilhelm Voigt was a German impostor who, in 1906, masqueraded as a Prussian military officer, rounded up a number of soldiers under his "command", and "confiscated" more than 4,000 marks from a municipal treasury. Although he served two years in prison, he became a folk hero as The Captain of Köpenick and was pardoned by Kaiser Wilhelm II. Telephone Time is an American anthology drama series that aired on CBS in 1956, and on ABC from 1957 to 1958. The series features plays by John Nesbitt who hosted the first season. Frank C. Baxter hosted the 1957 and 1958 seasons. The program was directed by Arthur Hiller, Robert Florey, and Lewis Allen (director). A total of 81 episodes aired from April 1956 to March 1957 on CBS and from April 1957 to April 1958 on the American Broadcasting Company (ABC). Arlene Francis was an American actress, radio and television talk show host, and game show panelist. She is known for her long-standing role as a panelist on the television game show What's My Line?, on which she regularly appeared for 25 years, from 1950–1975 on both the network and syndicated versions of the show. Kelly's "Weary Willie" inspired New York sports cartoonist Willard Mullin to sketch a version of him to represent the Brooklyn Dodgers as "Dem Bums" during the 1930s. The caricature, which was drawn to speak an exaggerated Brooklynese, caught on with Dodger fans and Mullin was subsequently hired to illustrate the covers of team yearbooks with variations of the "Brooklyn Bum". The Emmett Kelly Museum is located in Sedan, Kansas. A circus is a company of performers who put on diverse entertainment shows that may include clowns, acrobats, trained animals, trapeze acts, musicians, dancers, hoopers, tightrope walkers, jugglers, magicians, unicyclists, as well as other object manipulation and stunt-oriented artists. The term circus also describes the performance which has followed various formats through its 250-year modern history. Philip Astley is credited with being the father of the modern circus when he opened the first circus in 1768 in England. A skilled equestrian, Astley demonstrated trick riding, riding in a circle rather than a straight line as his rivals did, and thus chanced on the format which was later named a "circus". In 1770 he hired acrobats, tightrope walkers, jugglers and a clown to fill in the pauses between acts. Performances developed significantly through the next fifty years, with large-scale theatrical battle reenactments becoming a significant feature. The traditional format, whereby a ringmaster introduces a varied selection of acts that mostly perform choreographed acts to traditional music, developed in the latter part of the 19th century and continued almost universally to be the main style of circus up until the 1970s. 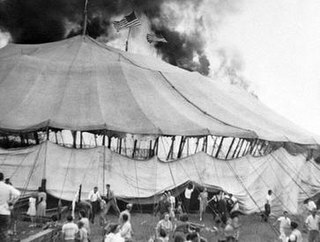 The Hartford circus fire, which occurred on July 6, 1944, in Hartford, Connecticut, was one of the worst fire disasters in the history of the United States. The fire occurred during an afternoon performance of the Ringling Bros. and Barnum & Bailey Circus that was attended by 6,000 to 8,000 people. The fire killed 167 people and more than 700 were injured. Ringling Bros. and Barnum & Bailey Circus, also known as the Ringling Bros. Circus, Ringling Bros. or simply Ringling was an American traveling circus company billed as The Greatest Show on Earth. It and its predecessor shows ran from 1871 to 2017. Known as Ringling Bros. and Barnum & Bailey Combined Shows, the circus started in 1919 when the Barnum & Bailey's Greatest Show on Earth, a circus created by P. T. Barnum and James Anthony Bailey, was merged with the Ringling Bros. World's Greatest Shows. The Ringling brothers had purchased Barnum & Bailey Ltd. following Bailey's death in 1906, but ran the circuses separately until they were merged in 1919. Willard Mullin was an American sports cartoonist. He is most famous for his creation of the "Brooklyn Bum", the personification of the Brooklyn Dodgers baseball team, based on circus clown Emmett Kelly's "Weary Willie" hobo persona. He was widely published: he cartooned daily for Scripps-Howard's New York World-Telegram and Sun for decades and was often published in Scripps-Howard's twenty papers, as well as in the Sporting News. Alegría is a Cirque du Soleil touring production, created in 1994 by director Franco Dragone and director of creation Gilles Ste-Croix. Johann Ludwig Jacob, professionally known as Lou Jacobs, was a German-born American auguste clown who performed for Ringling Bros. and Barnum & Bailey Circus for more than 60 years. He was inducted into the International Clown Hall of Fame in 1989. He is credited with popularizing the clown car, which has been a staple of circus clown acts ever since. He is also often cited as the originator of the red rubber ball nose, which is used by many clowns today. He was the first living person to have his portrait appear on an American postage stamp. The Circus of Crime is a fictional villainous organization appearing in American comic books published by Marvel Comics. 3 Ring Circus is a 1954 American comedy film directed by Joseph Pevney and starring Dean Martin and Jerry Lewis. The picture was shot from February 17 to March 31, 1954, and released on December 25 by Paramount Pictures. The supporting cast includes Joanne Dru, Zsa Zsa Gabor, Wallace Ford, Sig Ruman, Nick Cravat, and Elsa Lanchester. Frank Bartlet Adler, born in Clinton, Iowa, was a circus performer and entertainer known as "The King of Clowns" who performed for Ringling Bros. Barnum & Bailey for 20 years. He was inducted into the International Clown Hall of Fame in 1989. Emmett Leo Kelly Jr. was an American clown. He was the son of Emmett Kelly Sr., who was a legendary circus clown. Kelly Jr. copied his father's style. Emmett is an English surname, also used as a given name. It may be connected to the given name Emma, or the place of Emmott, Lancashire, or it is connected to the Hebrew word אמת, Truth. The Circus Queen Murder is a 1933 American pre-Code mystery film directed by Roy William Neill and starring Adolphe Menjou, Donald Cook and Greta Nissen. It is the sequel to the 1932 film The Night Club Lady in which Menjou had also starred as Thatcher Colt. The film is based on a story by "Anthony Abbott", a pseudonym used by Fulton Oursler. Thomas Barry was an Irish circus clown. He worked with various circuses but was associated most with Astley's Circus. Barry was a traditional "buffoon" whiteface clown whose performances were based on physical humour. In 1844 he featured in a famous stunt whereby he appeared to be towed along the River Thames in a tub pulled by four geese. Barry left Astley's Circus in 1848 after falling-out with another clown, though he later returned, he retired permanently in 1856 after another disagreement. Whilst out of the circus Barry was landlord of the Crown Tavern in Lambeth. ↑ Tops, T.V. (22 April 1956). "Famous Clown Takes a Straight Dramatic Role". The San Bernardino County Sun. p. 22. Retrieved 13 May 2018– via Newspapers.com. ↑ Zipes, Jack; Zipes, Reviewer Series Editor Jack (2011-01-27). The Enchanted Screen: The Unknown History of Fairy-Tale Films. Routledge. ISBN 9781135853952. 1 2 3 "A TRAGEDY'S LONG SHADOW - Hartford Courant". web.archive.org. 2019-01-19. Retrieved 2019-01-19. ↑ "Hartford Circus Fire, July 6, 1944, day of panic and heroes. - Hartford Courant". web.archive.org. 2018-08-11. Retrieved 2019-01-19. 1 2 3 "The Story of a Photograph from the 1944 Hartford Circus Fire". web.archive.org. 2017-04-16. Retrieved 2019-01-19. ↑ "Life Mag Jul 44 - The Hartford Circus Fire ~ July 6, 1944". web.archive.org. 2017-09-22. Retrieved 2019-01-19. ↑ "The Hartford Circus Fire—A Matter of Degree". Willow Brook Press. Archived from the original on 2006-12-16. Retrieved 2007-05-16. ↑ "After lifetime of laughter, clown Kelly buried in Lafayette". Journal & Courier. Retrieved 2019-01-19. ↑ "A third Emmett Kelly takes up clowning". UPI. Retrieved 2019-01-19. ↑ Press, The Associated (2006-12-04). "Emmett Kelly Jr., Clown, Dies at 83". The New York Times. ISSN 0362-4331 . Retrieved 2019-01-19. ↑ "Emmett Kelly Festival". web.archive.org. 2009-12-17. Retrieved 2019-01-19. Wikimedia Commons has media related to Emmett Kelly .